This bundle includes BlackVue's top-of-the-line one-channel (single lens, forward-facing) dashcam, the DR750S-1CH. 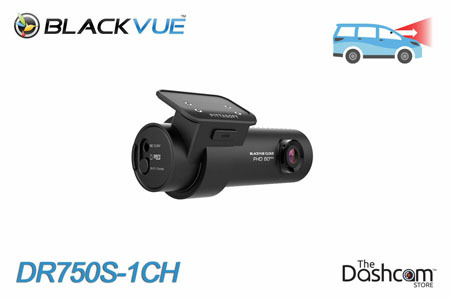 If you're unfamiliar with this best-of-the-best dashcam from BlackVue, please click here or on the image below to open the DR750S-1CH dashcam product page (link will open in a new tab/window). Free up your cigarette lighter power outlet and painlessly install a BlackVue DR750S-1CH dashcam in your vehicle. The Power Magic Pro is a control module that allows the BlackVue dashcam to keep "watch" over your vehicle while your car is parked and you are away. The Power Magic Pro will also prevent a dead car battery: should your car battery drop below 12 volts, the camera will be turned off until you return to your vehicle and start your engine. Click here or on the image below to learn more about the Power Magic Pro that is included in the DR750S-1CH DIY Dashcam Bundle. Click here or on the image below to learn more about our simple DC test light (circuit tester) that is included in the DR750S-1CH DIY Dashcam Bundle. 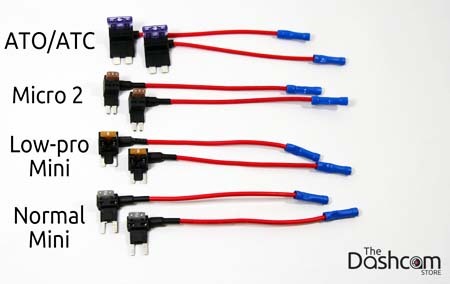 We also include a bundle of nifty "add-a-circuit" fuse taps with this dashcam DIY bundle. Using a set of crimpers, the fuse taps crimp on to the end of the Power Magic Pro's wire harness, then simply plug in to your fuse box! This way, your vehicle's factory warranty will remain fully intact, as there is no chance of damaging any wiring or other electrical components when using other more invasive methods of tapping in to a vehicle's electrical system. The fuse taps can be removed later if you need to sell or trade in your vehicle, leaving no trace that there was ever anything there, pretty cool! Click here to learn more about our "add-a-circuit" fuse tap bundle that is included in the DR750S-1CH DIY Dashcam Bundle. The DR750S-1CH DIY Bundle includes FREE priority ground shipping within the continental United States. Expedited shipping may be selected during checkout for an additional fee. International shipping is not available on this item, except to Canada or Mexico.